So, readers, today, Tabula Rasa turns 2 and I wanted to (finally) host my first book giveaway (which would have been fun, considering I've got a job now, so it would have literally been MY giveaway.) But as it turns out, I completely forgot about the Blogiversary (Did I mention, YAY!!) until today morning - so no giveaway right now. I have to say, two years seems like a very long time. I still remember, with much fondness, my first few posts. I had a lot of thoughts; well, I have always had a lot of thoughts. But, I had sort of an awkward, jumbled-up way of expressing them. See for yourself. What started out as just any other blog, soon became dominated by bookish posts, even as my life became considerably dominated by books. I have had some amazing, shocking, exciting, almost life-altering experiences ever since I started Tabula Rasa: receiving my first ever review copy through another Book site, receiving my first ever review copy directly from the author, getting my first blog award, this (which I suppose, speaks for itself! ), having someone whose blog I love say that they like mine (it came as a shock), having an official Stephen King page (apparently) tweet my review, getting my posts/blog selected on sites such Blogadda and Blogjunta (don't have any links), and even writing book reviews for an online magazine (of sorts) for a while. I was happily surprised to see an increasing number of followers and readers, apart from family and friends. I saw my writing becoming much more confident, I found my voice; in fact, I was even able to write some non-awkward, non-joking posts such as this or this, about things that matter. Not to mention, only a minute ago, I realized I am now finally not annoyed by casual dismissal; which I always find worse than outright criticism. Seems like one hell of a journey, doesn't it? Last year, I found a bookish template that just "feels right" for my blog. I also wrote an About Me page that contains more about me, than the line "Life is like a box of Bertie Botts' Every Flavour Beans, you never know what you'll get next." ever did (which I should have copyrighted, by the way, as soon as I thought of it, to avoid the Ross Geller-Got Milk? situation, that it eventually led to.) I have drafts of Blogroll and Reviews Pages, waiting to be edited and published; which I will do sometime next week. And now, I am looking forward to celebrating the day with a good book and a nice cup of coffee, like any regular anti-social blogger. So. I've been buried in this book, ever since I got it from the library. And, what an experience that was! I was attending the fiction writing workshop at a library, and after nibbling on a few sandwiches, I spent the rest of the lunch break looking at the books. How can you sit and eat when you're surrounded my countless magical shelves of old, rich smelling books? I noticed this huge book and read the title: Jonathan Strange and.... I literally squealed. I wanted this book for ages. A man sitting next to me reading started, and looked up, wide-eyed, as if he thought I was a freak. I plastered a very awkward smile on my face, snatched the book, and sort of ran away. I was carrying a very tiny bag with me, so for the rest of the workshop, I had to keep the book on the table, for everyone to see, smile and question about. Getting back to the book; it is, as you can see, enormous. I couldn't write an entire review with all the elements I want to talk about, even if I wanted to. So, I've decided to write about each Volume separately and I finished reading Volume I, yesterday. Let me start with appearance. I love the simple black-and-white cover, that lets on so little about the book. My copy looks sort of old (even though the book was released in 2004) and worn and very beautiful; it's a paperback and I cannot imagine how difficult it would be to read such a huge hardback. The illustrations (by Portia Rosenberg) look like pictures right out of a book of magic. Jonathan Strange & Mr. Norrell is a book about two English magicians, set in the 19th Century England (with an alternative history; one where magic existed) around the time of the Napoleonic Wars. The writing has a very formal Victorian-ish air to it, but the language is never too heavy to get through. The archaic spellings and that touch of deadpan humour adds a sort of style to the book. Not to mention, the often foot-long footnotes make the world Clarke has created even more real and quite enchanting. Volume I introduces us to Mr. Norrell, who is seemingly the only practical magician left today (practical magic died out centuries ago.) Mr. Norrell is quite unlike the image, that gets conjured up in your mind when you think of a magician. He is a tiny man, who easily goes unnoticed. He doesn't like big crowds and lives at the outskirts of a city of York, alone in a big house with an enormous library. When asked to perform magic by all the theoretical magicians of York, to prove that he can, he does it; but on one condition. Once he proves that he can perform practical magic, every theoretical magician must give up his profession. That says a lot about Mr. Norrell. He is proud, wants to keep all the glory to himself and wants to bask in the limelight; but is too anti-social to know how to make people respect him. Our story really begins, when Mr. Norrell, on having made every magician in his town quit magic, leaves to London, intending to revive practical magic in England. Right from the very start, Clarke builds up the story beautifully; while on the one hand we read about Mr. Norrell's antics in the city of York and later in London; on the other, we are slowly introduced to the legendary Raven King, a powerful magician who ruled the human and Faerie kingdoms; without whom, arguably, there would be no magic at all. We are also briefly introduced to the other key character of the novel, Mr. Strange. 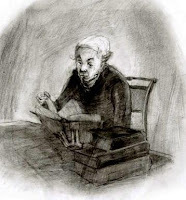 We know that he goes on to become Mr. Norrell's pupil, but how he gets there and why is quite a mystery; considering how possessive Mr. Norrell is about magic! The book is very Harry Potter-esque, in a way, because I feel the same kind of awe, when reading it, that I felt all those years ago. The descriptions of the magic performed in the book made me almost shiver with excitement. Not to mention, the frequent realization that something BIG is about to happen. P.S. - For those of you, who want to get a taste of Clarke's writing, before taking on a 1000 page book - here's a beautiful little short story by her, that you ought to try! Just follow the link. If you are looking for a very nice and detailed sort of review of the book, this is not it; but I could redirect you to a good one here. The first dystopia I read was Orwell's1984, when I was in high school. I re-read it years later now, and I still can't seem to get over its charm and genius. I have re-read the Appendix, which explains the principles of Newspeak more times than I could count! Another dystopian novel (actually, novella) I remember reading was Ayn Rand's Anthem. It was a good book. Only last year, I read Ray Bradbury's Fahrenheit 451, and was awed by the whole concept. Yet, when someone posed the question: "Do you like dystopian fiction? ", I immediately thought to myself, "Not really". I was so wrong. I decided to take part in the Dystopia 2012 Challenge at Bookish Ardour. And I am so glad I did, because for whatever reason, I would never have picked this book up otherwise. It is the sort of book that everyone should read. The book Brave New World is written by Aldous Huxley in 1932. "Community, Identity, Stability" is the motto of the World Controllers. In what seems to be a utopia or an ideal society, happy, perfect people are created using a combination of developed technology and sleep-learning and such. Like in 1984 there is, however, someone who doesn't quite fit in this society. It is difficult, at times, to connect to the (sort of shallow) characters, but the story draws you in nevertheless. It is very intriguing that, what seems like a utopia, is actually a dystopia. And I wonder, what exactly would be a utopia? The frightening vision of the future, made me really think about the nature of morality. The book is at times quite ridiculous, and at times hauntingly real. It seems, Brave New World was inspired by a novel by H.G. Wells called The Sleeper Awakes, which I now can't wait to read. If you haven't read Brave New World, do yourself a favour and go read it! Now! Bout of Books Read-a-thon Wrap-up! Bout of Books was a week-long readathon, hosted here. My thoughts: To tell you the truth, I expected more. Which I would have been able to manage, if I hadn't attended that writing workshop. Then again, the workshop, which I will write about later, was worth it. We started with writing a sentence and wrapped up with a little story. They told us to set a goal - "what do you want from this workshop? ", he said. In fact, he told us to write it down and make sure, later, that we reach our goals. When you write a blog, and soon learn, that people other than your sisters actually read and like it, it's a good feeling. Isn't it? It felt a thousand times better, when the guy said that mine was the perfect character sketch. Being a writer, he told us, is about letting go of your inhibitions; not worrying, what others would think. It sounded a bit too dramatic for me. A writer is essentially someone who writes. Yet, I've never written an embarrassing story about myself with quite as many details as I did that day. And when everyone started laughing, I knew they weren't laughing at me, they were laughing at the funny story. I couldn't possibly write everything he said; and I wasn't one of those people, either, who literally jotted down every single thing that came out of his mouth, their eyes squinting and mouths twisted in concentration. What I can tell is, that this blog might just see a little more of what I label the 'random', non-bookish posts! There. I said it, I want to write a book, someday. The Devotion of Suspect X is a Japanese crime thriller first published in 2005. It is the third and the most acclaimed book in Keigo Higashino's Galileo series. The first two chapters tell us, the readers, of the murder that is committed by single mother Yasuko Hanaoka and the cover-up designed by her strange and mysterious neighbour, a genius mathematician called Tetsuya Ishigami. The murder has the police completely puzzled. And it is upto detective Kunasagi, assisted by physicist Manabu Yuwaka (Galileo) to figure out just what happened. (What I liked) Usually, twist endings in crime novels leave me thinking; "What!! Did that just happen?". They almost always make me wonder if the writer just got tired of coming up with a decent ending. It's safe to say, that there are very few unexpected turns of events that I actually like. But this one was one of those few. As a reader, you are an observer of a story, which is carefully veiled. The veil is lifted slightly every so often, but never quite so much that you know exactly what is happening. The author does a great job of maintaining the suspense, of not letting on too much, without making you impatient. Every page gives a little more information, and every page creates a new question. This was also one of the few psychological thrillers I have read, where the hero isn't suffering from an actual mental disorder. And yet, it was also the most thrilling, in that respect. I know people who don't like mysteries/crime novels because you don't get anything valuable out of them. I disagree, because the biggest reason I read is to just get lost in a new kind of world. But this book had a lot more to offer than just that. It was highly unrealistic in many places, but at the same time, it said something about human nature that is uncannily real. I couldn't tell you that without disclosing the best parts of the book, so let me just leave it at this; the book has the most apt title! Plot-wise, I think The Devotion of Suspect X by Keigo Higashino was really quite fabulous. That being said, I did not exactly love the book. (What I did not like) Firstly, let me just say, I might have enjoyed this book a tad bit more, if I could have read the original. It was obvious in many places, that this was a translation. The sentence construction was awkward. Another thing I did not like was that it seemed too much like an unrealistic and cheesy detective movie. Crime fiction is so vast a genre, and has seen so many bests over the years, that it must be hard to write something that would count as different. The scenes were repetitive and it seemed to me, as if I was viewing a combination of all the crime dramas there on TV these days. Which brings me to the next thing; the book read like a movie script at times; and that, according to me, is the worst thing when it comes to a thriller. It was also kind of weird, how the writer kept explaining every thing over and over again, from the different perspectives of all the different characters. It was almost as if he assumed the readers were too stupid to figure things out on their own. The characters had the potential to be much better than they actually were; much more developed. But somehow I kept thinking that the author was juggling a lot more characters and viewpoints than he should have been. It's not the worst book I've read, but it's certainly not the best. I would recommend people to read this book, for all the good parts. But I would like to remind you, 2 million people might even be wrong; Twilight taught us that! I never imagined I would like reading biographies. That is why I never really tried. 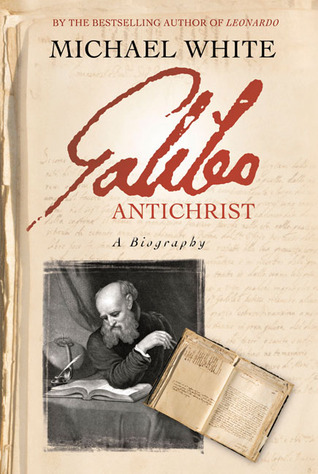 Today, I finished reading a biography of Galileo called Galileo Antichrist : A Biography by Michael White. It's a wonderful book; which gives you a glimpse not only into the scientist's life, but also into the society of his time. Along with telling us about his scientific achievements, the book also paints a vivid picture of his character, of the kind of person he was; using letters he wrote and the kind of lectures he gave. It's a book I'd definitely recommend reading. Of course, reading about people as amazing, as great in their respective fields is always inspirational; there's so much to learn. But that's just one of the reasons. I guess, the thing I loved about reading a biography, was the feeling of actually living history; being present in those times; knowing that once upon a time this actually happened, that it's not just fiction. I don't have much experience with memoirs/autobiographies, either. I have only read those by Mahatma Gandhi and well, Stephen King (odd combination.) What about you? Do you like reading biographies and would you recommend any?